Our Licensed Massage Therapists tailor each massage session to your individual needs. Extensively trained in many different modalities of massage and bodywork; we take care to provide you with the best possible relaxation and therapeutic experience. Whether you are struggling with an injury or simply want to take the time and space to relax, our therapists can effectively help you address your needs. At Spa Bleu, we truly believe that taking the time to care for yourself can simply make all the difference in the world. ​ "Low Country Luxury", and much more! hot wax infusions & more. A quick dose of relaxation for those on the go! Target problem areas such as, back, neck & shoulders, for a short but sweet treat. For those needing relief, this is a firmer pressure massage to relieve severe or chronic muscle tension, headaches, injuries, or sports related aches and pains. A little Swedish, a little Deep Tissue... Let your therapist provide you with the best of both worlds to effectively meet your individual needs. If you are looking for a truly relaxing massage but would also like to more deeply address certain trouble areas, then the Customized Massage is for you. Heated basalt river stones deliver effective pressure and concentrated centers of heat, to melt the tissues beneath. Organic essential oils combine with penetrating warmth to create a truly unique experience that will tantalize your senses and leave a deeply renewing effect on your body, mind, and soul. A deeply relaxing and soothing treatment for tired or aching muscles. Excellent for athletes and those with an active lifestyle, alternating hot and cold river stones serve to both relax and tone tissues. Includes Organic Aromatherapy. This is a must try treatment! Originating in ancient China, Reflexology has long been touted as an effective approach to every organ, gland, and system of the body. Points are found primarily in the feet, hands, head, and ears, and applied pressure results in an overall sense of relaxation and balance throughout the body. This treatment also provides a clothing-on option. The ultimate massage. A luxurious back exfoliation & mask, full body Swedish & deep tissue massage w/hot stones, organic aromatherapy, rosemary & mint foot scrub, warm towels, followed by an organic scented warm oil scalp infusion… Ooh la la! 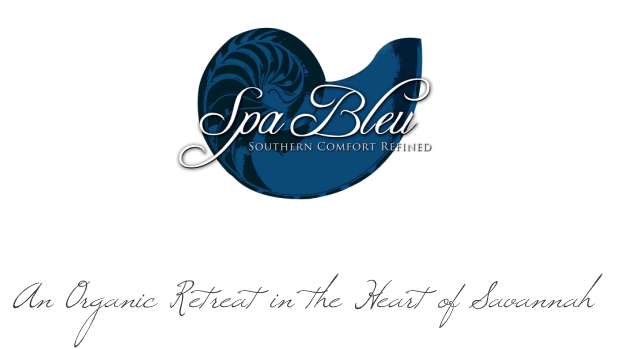 Spa Bleu is the only spa in Savannah offering advanced level Massage Therapy services, with therapists who have received advanced training and certification in techniques such as Active Release Technique (ART), Postnatal Massage and Pain Management. Benjamin White is our Certified ART Specialist, trained to assess and assist with soft tissue injuries created by scar tissue. This hands-on therapy helps to break up adhesions which limit normal range of motion, causing pain and tension. This service can be done while fully dressed. Massage Therapy has been shown to be highly effective for managing pain. We will create a package series just for you based on your individual pain management needs. A series of at least 5 massages is recommended. Your first treatment will include a comprehensive consultation. Please contact us to discuss packages. 912-236-1490 Click here for an informative article on Massage Therapy and Pain Management. Add a little something extra to your massage service. Specialized, petite treatments to enhance your service without increasing your service time. An timeless technique to stimulate the circulatory system, add dry body brushing to exfoliate and soften skin. One of our most popular enhancements. Tension, stress, and fatigue will melt away as you enjoy an aromatherapy foot treatment infused with organic healing oils, a Dead Sea salt scrub, followed by a relaxing massage. This restorative treatment will detoxify, soften and refresh your feet. A perfect addition! A petroleum free, all-natural hot wax infusion. An eco-friendly alternative to paraffin wax, your skin will be deeply hydrated all the way through, unlike paraffin which only hydrates the outer layer of skin. In a word, luscious! Your therapist will massage your scalp and hair with deeply hydrating oils and swaddle your head with warm towels, leaving you relaxed and hydrated with the best quality, therapeutic oils. Aromatherapy combinations (100% organic essential oils): French Lavender, Geranium, Peppermint, Eucalyptus, Rosemary, Tea Tree, Orange, Lemon, Grapefruit, Sage, Lemongrass, Cypress, Patchouli, Pine & Sandalwood. Combine as many oils as you like! A combination of organic earth clays and muds designed to cleanse and help draw toxins from the skin, increasing circulation and new skin cell growth. Includes your choice of Organic Essential Oils. Try adding an Organic Facial or Thermal Body Scrub or Wrap to your massage for the ultimate in relaxation! 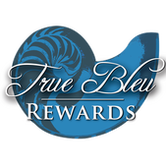 Earn Points on All Spa Services, Products & Gift Certificates Purchased!